Welcome to Liftech Garage Equipment. We're rated 5/5 for service! 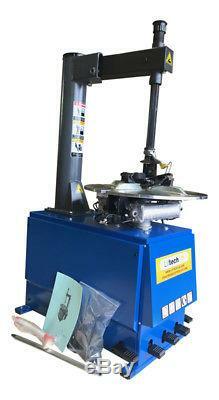 SEMI AUTOMATIC TYRE CHANGER / TYRE CHANGING MACHINE 240V, 20 VERSION. We provide the best combination of price and quality. 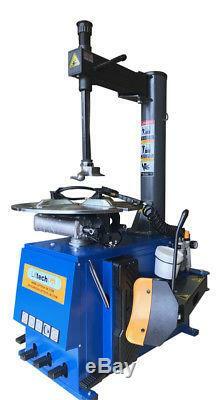 PREMIUM QUALITY SEMI AUTOMATIC TYRE CHANGER AT THE MARKET LOWEST PRI CE! PLEASE SEE SOME OF THE REVIEWS AT THE BOTTOM OF THE LISTING. 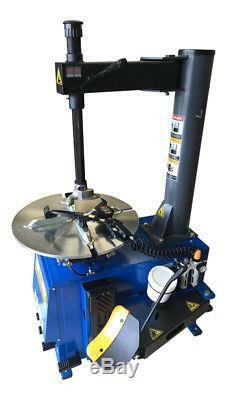 Outside clamping: 10" - 19" Inside clamping: 12" - 20" Bead Breaker Pulling Force 2500kgs Wheel diameter max. : 650mm Bead breaker force: 8-10 bar. 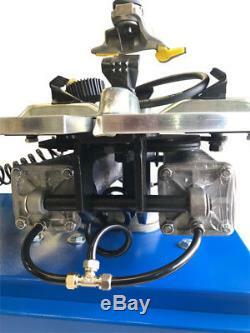 Motor Power: 1,1kW/0.75kW. 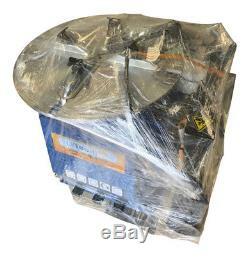 Working Pressure: 0.7-0.8Mpa Power supply: 240 V Noise level: <70 dB Machine Weight: 188kgs Gross Weight: 275 kgs. 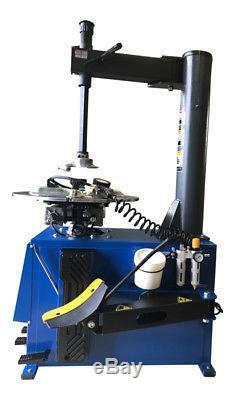 BRAND NEW SEMI AUTOMATIC TYRE CHANGER SINGLE PHASE 240 VOLTS. 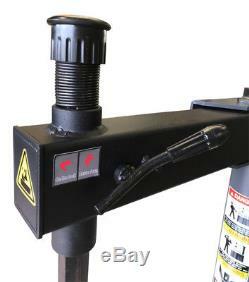 High quality machine, with a powder coated painted cabinet Swing arm Semi-Automatic style Inflation gauge included. Air moisture separator / lubricator fitted. 240v Single Phase 13A Plug fitted. A pleasure to deal with. 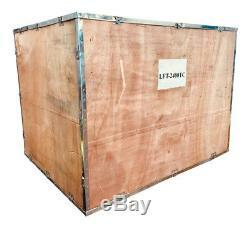 Although we do everything we can to ensure the safe and timely arrival of your merchandise. Please advise If you MUST have your product delivered on a certain day and at an exact time. Your product will be inside an enclosed trailer. (Rather than to a residential address). Although we despatch the goods on a 24 hour service it is not always guaranteed. All goods need to be signed for, so please supply us with an address where somebody will be in to sign for the goods. Our carriers will not leave the goods without a signature. Please do not sign for goods and then report to us that they are damaged, as you will have to return the goods at your own expense. Professional installation is available for all UK region by our automotive lift engineers. We do have a very strict floor requirement, we will advice the minimum requirement. A drill test is advisable if you have no idea of the thickness, if you have previously a lift installed inside the premises the floor normally should be OK.
For more details please ask our engineers on the day of your site installation. However, should you require to return any product, we will allow you to do so within 7 days of the day after receipt. You will have to arrange the return of the goods yourself and track them using a reputable carrier. Returning an item that is faulty. Returning an item that we have supplied incorrectly. If we have supplied an item incorrectly we will arrange the uplift of the goods and have the correct item sent out at the same time. LIFTECH has built a reputation for quality and value by providing the best garage equipment and services to the car and commercial vehicle industry. During our time in business, we've become the first choice for many clients, from the largest dealers to the independent garage owners, who all require a professional standard of service at a great price. Liftech doesn't just offer great quality products and service - we have a price to match too. As Europe's leading supplier of lifting and garage equipment, we stock a wide range of products including two post lifts, engine cranes, transmission jacks, scissor and single post lifts, and much more. 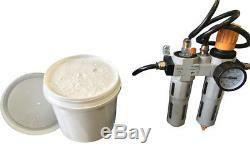 Liftech provides the highest quality garage equipment at unbeatable prices. Where others send it and forget it, Liftech stands ready to help, with comprehensive installation services and helpful after-sales support. Discover the garage owner's first choice for equipment. Delivered direct to your door. High quality products at amazing prices. All stock held and dispatched from UK. Liftech has built a reputation for quality and value by providing the best garage equipment and services to the car and commercial vehicle industry. The item "SEMI AUTOMATIC TYRE CHANGER / TYRE CHANGING MACHINE 240V, 20 TIRE CHANGER" is in sale since Sunday, September 2, 2018. 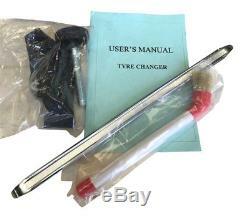 This item is in the category "Vehicle Parts & Accessories\Garage Equipment & Tools\Workshop Equipment & Supplies\Tyre Changers/Wheel Balancers". 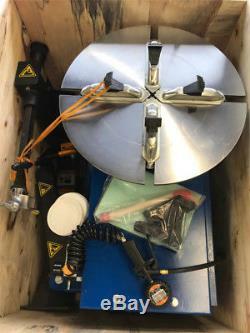 The seller is "tool_world_247" and is located in Preston. This item can be shipped to United Kingdom.